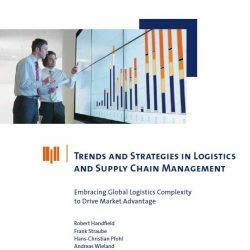 The key results of this study by BVL International on trends and strategies in logistics and supply chain management are summarized, as follows. 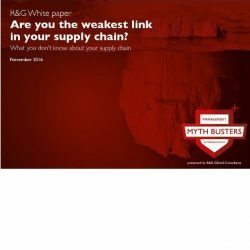 They are based on 1757 responses collected in an international survey from supply chain executives (including logistics service providers (LSPs), retailers, and manufacturing companies). 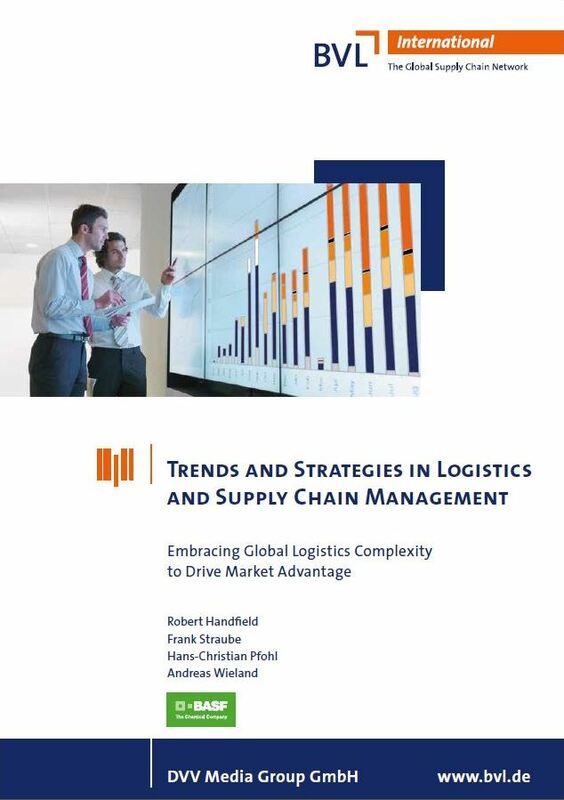 The general observation from both the interviews and the study results is that logistics complexity in the form of fragmented channels, increased product variations, and consumer demands for customized solutions has increased. 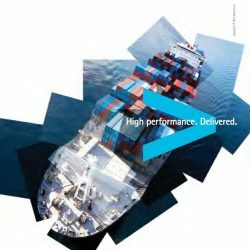 Several trends demonstrate that a number of major challenges lie ahead, as the world becomes a more complex place to operate logistically. In essence, logistics and supply chain management should primarily enable a company to satisfy its customers’ needs. Increasing customer expectations were ranked by respondents of our study as the most important trend, and meeting customer requirements has been ranked by more than 20% of the respondents as the number-one logistics objective. But, as customers are becoming ever more demanding and critical, traditional measures often fail when pursuing strategies to satisfy customers. In the past, companies have typically considered themselves to be independent players in the market and, at best, managed interfaces to direct suppliers and customers. In today’s networked economies, this is just not enough anymore. Companies are often forced to collaborate with partners both vertically and horizontally in their extended supply chain network, and these partners expect them to integrate their processes and systems. Companies are forced to adopt network thinking rather than company thinking. Customers continue to expect low costs. Although other requirements such as sustainability, social issues or risk-mitigation capabilities are increasingly discussed in the media, cost pressure seems to remain the ultimate criterion for customers. Given the trend towards increased customer expectations, it has become ever more difficult to reduce costs any further. Logistics costs are playing an important role in reducing overall costs. Logistics costs share of overall revenue is as low as 4% and 6% in the electronics and automotive industries, respectively. However, our results show that costs are on the rise (larger than 8% on average for manufacturing industries). 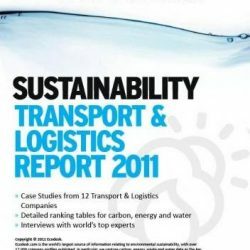 A concerning result is that as many as 14% of the respondents cannot estimate their logistics costs. As global footprints expand, logistics performance as measured by delivery reliability has deteriorated, due to increasing customer requirements, greater volatility, and problems with infrastructure. Two out of three respondents stated that their company’s logistics capability is negatively influenced by poor transportation infrastructure, which is a problem particularly in emerging markets. In sum, globalization clearly amplifies other trends and leads to an increase in complexity, particularly in regions of growth such as Russia, Eastern Europe,India, and Africa. Across all regions and sectors, talent shortages in logistics is considered one of the most important challenges in the coming years. Shortages are being seen at both the operational level as well as the planning and controlling function. In particular, about 70% of the respondents experience a shortage of skilled labor. The most important strategies to cope with talent shortage are training and qualification programs and strategic cooperation with universities and research institutions. In the United States and Europe, talent shortages are also a function of demographics. In emerging nations strong competition from other fields like finance, strategy and IT contributes to the talent shortage. Volatility: In the last years, market turbulence on the supply and demand side has increased. This was amplified by the economic and financial crisis, which demonstrated how fluctuations in one part of the world can build up to dramatic problems in other parts of the world. Respondents of this study believe that volatility will continue to increase and more than 50% of them consider it to be a very important trend in five years. The majority of companies (irrespective of size, sector, country and position in the supply chain) consider the mitigation of internal and external risks essential. 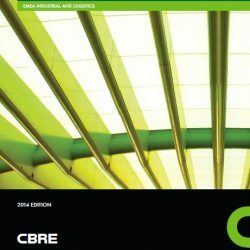 Strategies for 2013 Trends and Strategies in Logistics and Supply Chain Management 9 managing risk around demand and planning are also considered important. Executives concur that strategic frameworks and tools are needed for engaging the entire network in the management of risk and disruptions. Solutions focused on improving transparency of tier two suppliers, inventory and demand impede mitigation and force companies into reactive strategies. Proactive strategies should include research and development, procurement, production and sales. The majority of companies are recognizing the growing need for investments in new technology, with about 60% of the respondents planning to invest in “big data” analysis tools within the next five years. Those tools seek to develop capabilities around the comprehensive handling and intelligent connection of data to increase planning and control outcomes. The new wave of decentralized automated network technologies are in their infancy. Predictions from the last study concerning the use of those technologies have not yet materialized.